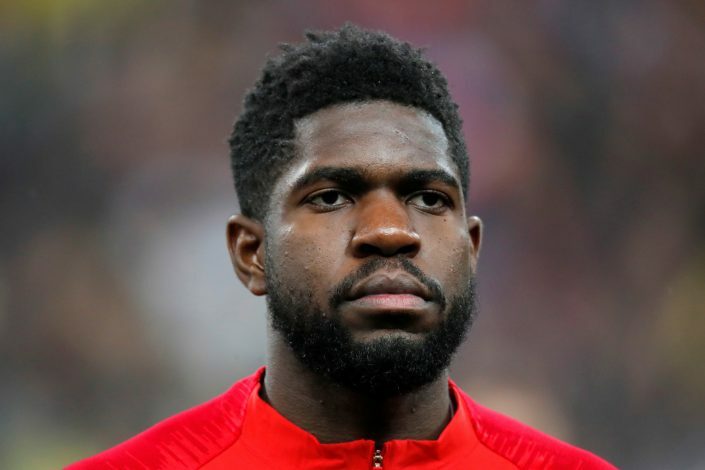 Barcelona are remaining calm about the impasse in negotiations over a new contract for Samuel Umtiti, and will not rush into offering him an improved deal. Umtiti has been a crucial player for the Catalan giants this season, and is undoubtedly one of their best players. However, the defender has been upset at the differential treatment being shown to stars such as Messi, Suarez and Coutinho in terms of wages, despite all of them being as important to the first team as he is. The defender has demanded that the club treble his current salary to put him on level terms with the aforementioned players, but they have refused to do so. As a result, club officials and the player’s representatives are at loggerheads with each other, with neither willing to budge on their terms. This has prompted the interest of United, who are desperate to sign a world-class central defender, and see Umtiti as the perfect defensive partner for Eric Bailly at the heart of the defense. Umtiti has a release clause in his contract worth around £52 million, which will be affordable for United, who are also willing to meet his wage demands. However, Barca continue to remain calm about the situation, and are not in any rush to wrap up a deal due to the defender’s recent form. Mundo Deportivo claim that the Liga Santander side has been frustrated with the 24-year-old’s lack of focus because of the contract situation in recent weeks. He has been poor, and was completely torn apart by Roma in the Champions League this week, as they overturned a 4-1 first leg deficit by winning 3-0 at the Stadio Olimpico to go through on away goals. His drop in form has cooled the club’s interest in offering him a bumper new contract, and this could open the door for United to pounce in the summer.